« The Art of Pastry – Chocolate – Ice Cream-making is refined sensual and delicate. My delight in practicing it amounts to communicating happiness and generosity. It is in a constant spirit of challenge that I practice my passion and pass on my love of a well-done job. The respect of men and tradition allows me to go beyond the daily and to exalt my sensibility. Satellite’s connexion from Japan to France – International School with Olivier BAJARD’s practice. Notter’s school – Orlando – Chicago – New York – Miami – U.S.A.
Mercure d’Or for the best innovation and quality business in France. Coq d’Or awarded by the Guide of the Gourmands. One of the Best Chocolate makers of France. Member ” Disciples d’Auguste ESCOFFIER” which value the quality of the gastronomy generally by the quality of products. Ecole Internationale de Pâtisserie is founded. Olivier BAJARD teaches Professional trainings short or long for the professional but also for food lovers. Manager of the French Team for the World pastry Team Championship in Las Vegas in U.S.A.
World Champion in Pastry – Chocolate – Confectionery – Ice Cream Making – Milan in Italy. Meilleur Ouvrier de France Pâtissier. (National Government Award for Best Craftsman in France). First Prize for Tasting and Artistic showpiece – Angoulême in France. Nominated for the Etienne THOLONIAT Trophy. Second Prize in the french Team for the World Pastry Cup – Lyon in France. Third Prize in the French Championship for Artistic Ice Sculpture – Evry in France. First Prize for Tasting and Artistic Ice Cream – Valence in France. First Prize for Artistic Ice Sculpture – Romorantin in France. Third Prize in the Charles Proust Awards for Artistic Showpiece and Desserts – Paris in France. Pastry Chef at BAJARD’shop family – Poitiers in France. First Prize for Desserts in Tasting, Petits Fours and Artistic Showpiece – Lyon in France. Master’s Certificate in Pastry- Making – Grenoble in France. Young talent of the year of the city of Poitiers. 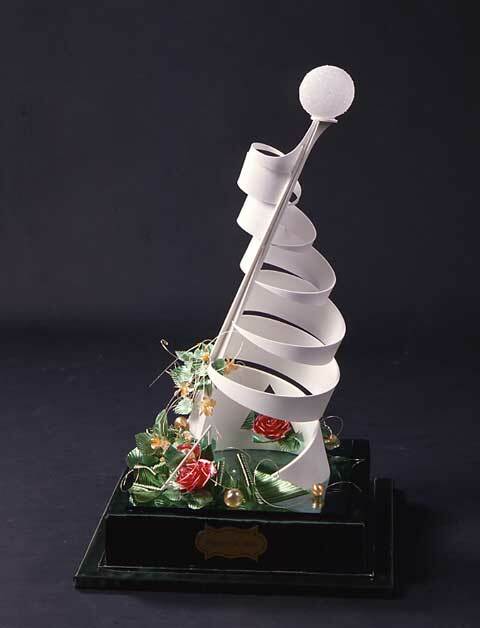 First Prize for Desserts Tasting and Artistic Showpiece – Annecy in France. Pastry chef – Pâtisserie LAROCHE – Grenoble in France. First Prize For Desserts – Tasting and Artistic Showpiece – Néris-Les-Bains in France. First Prize Artistic Showpiece – Roanne in France. Pastry Craftman to PILATI’s shop – Roanne in France. Certificate of Professional Education in Pastry-Making – Chocolate – Confectionery – Ice cream. Chateau’s Pastry in MONTCEAU LES MINES – France. « Coming from a gastronomy background, I became naturally fascinated with the work of pastry-chocolate-ice cream maker from the age of 4. The daily application of my parents to their craft was for me a revelation. This is why, at the age of 15, I setted off on the roads of the Tour of France to learn and practice with passion « The love of the well-done job » with highly skilled pastry chefs. I also prepared for many competitions and attended various continuing professional trainings in order to grow and acquire the bases that would allow me to express myself fully. – In 1993, at age 27, I obtained the much sought-after title of Meilleur Ouvrier de France (National Government Award for Best Craftsman in France). – In 1995, appointed by the French Pastry Confederation to represent France, I participated in the Dessert-making Craft World Championship and received the top honour of World Champion. Then, I started my first experiences in the world of instruction, transmitting without reserve my experience, my knowledge and the love of my craft in France and throughout the world. It has become a vocation and I savour fully that happiness everyday. I have been also involved in the organization of many national and international competitions in order to convey and perpetuate the know-how of the French Pastry Chocolate Ice-cream making. – In 2001, so as to respond to many requests, I created my own consulting and pastry instruction firm. 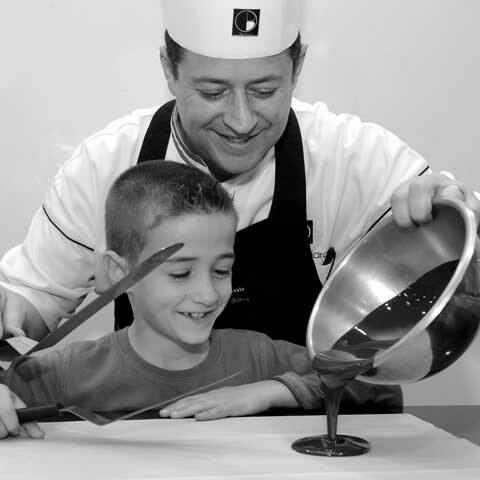 – In 2005, the École Internationale de Pâtisserie Olivier Bajard was born and has been dispensing short and long trainings adapted to professionals and to the general public. – May 13th, 2010, opening of the second shop in Collioure. – October 15th, 2010, the first book ” Les Ateliers Sucrés d’Olivier ” to the editions Fleurus.